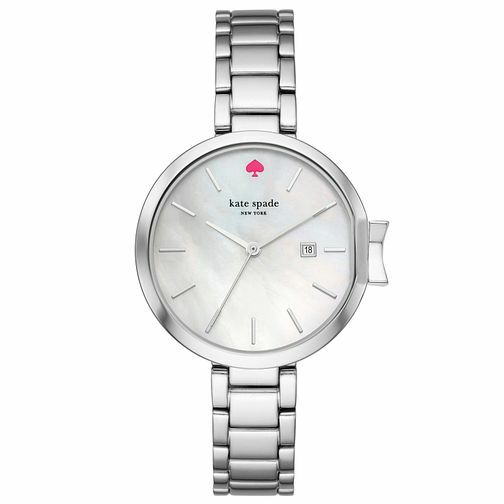 This stainless steel bracelet watch from Kate Spade's Holland collection features a stainless steel case, with mother of pearl dial and Kate Spade branding. A perfect finish to any look. Kate Spade Ladies' Stainless Steel Bracelet Watch is rated 5.0 out of 5 by 1.